Before it was a shopping mall, and even before it was an amusement park, Willow Grove Park has always been a main attraction in the Upper Moreland area. The Willow Grove Park committee focuses on preserving the memory and history of this local landmark. 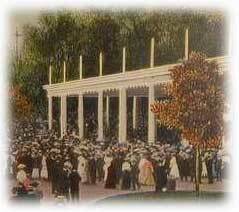 The Willow Grove Park was the attraction that gave Willow Grove country-wide prominence and world-wide fame. Peter Widener and William Elkins, two influential men in the Philadelphia Rapid Transit Company, conceived the concept of creating a park to entice Philadelphians and others to ride their new trolley line. The first trolley car arrived in Willow Grove by way of Glenside on May 11, 1895. The Park opened a year later on May 30, 1896. The ideas of a park at the end of a trolley line and concerts by famous bands were to be copied across the country. Concerts at the Park, referred to as a "noble experiment", were a regular part of the annual schedule beginning in 1897. Frederick N. Innes Famous Fifty gave two concerts daily and it is reported they were paid $2,000 a week. On the 4th of July of that first year, 45,000 came to the new Park. On Memorial Day, 1897, Walter Damrosch and his orchestra started a series of concerts to the great reluctance and apprehension of the Park management. His concerts continued afternoon and evening until the middle of September. Audiences numbering between 15,000 and 20,000 on special nights greeted the Damrosch orchestra with unprecedented exuberance. To present a well-rounded program on Monday nights, a complete symphony was presented, and on Friday nights, Wagner became a favorite of the people. Damrosch and his orchestra returned to the Park for five more seasons. Orchestras frequently seen and heard at the Park were those of Victor Herbert, Frederick Stock, Nahan Franko, Wassali Leps, Theodore Thomas, the Russian Symphony, and the New York Symphony led by Damrosch. John Philip Sousa, the March King, of U.S. Marine Band fame, appeared in 1901 and thereafter yearly until 1926, with the exception of one year, 1911, when on world tour. 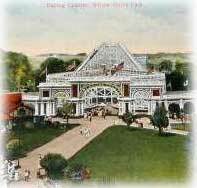 As a result of these musical triumphs, parks all over the country engaged bands and orchestras, however, it was Willow Grove Park that became known as "The Music Capitol of America." The train, later becoming part of the Reading Railroad, carried 583,348 passengers to Willow Grove in 1903, and on the last Sunday of that season, carried more than 45,000 visitors to the Park. It is estimated that in the summer season of 1909, the total attendance at the Park was 3,000,000. In 1926, 100,000 people attended John Philip Sousas final concert. The Parks police or guard had a staff of nearly twenty men whose duty it was to ensure tranquility and adherence to the rules of dress and demeanor. Old photos reveal that the ladies were clothed in floor-length dresses, while the men wore suits, ties and usually a straw hat. Bad language was not tolerated. The Parks Bicycle Track was the subject of a short article in the Public Spirit on March 26, 1898, which stated: "The Willow Grove Cycle Track has been leased for the coming year by the American Cycle Racing Association. The Association already has under contract, Edouard Taylore, champion of France at middle distance racing." The Parks amusements evolved as experience dictated success or failure of individual attractions. Among the many attractions were the Mystic Moorish Maze, The Little Scenic Railway, The Mountain Scenic Railway (later called The Alps), a Bicycle-Swing, Shooting the Chutes on a Bicycle, the Captive Flying Machine, the Venice with its canals along the Riviera, a miniature steam-powered train, the Mirror Maze, a Toboggan, a Ferris Wheel, two Carousels, The Skooter, The Caterpillar, a Merry-Go-Round, the Thunderbolt Roller Coaster, Skee Ball, and an electric launch on the lake. 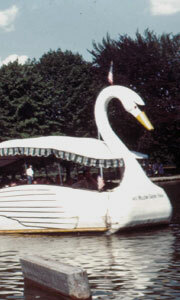 The Parks slogan was, "Life is a Lark at Willow Grove Park." 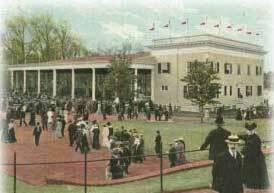 Other attractions were The Midway; the Casino Restaurant; the Soda-Water Fountain; the Biograph featuring kinetoscopes, mutoscopes, X-Rays, and phonographs; Candyland, famous for its popcorn taffy, two fancy pagodas labeled Orangeuce, a newly popular drink; a photo shop; and a large picnic grove. Around 1926, the Park was purchased by Meyer Davis, who had his own orchestra that performed for dances at the Park. Mr. Davis added many new innovations to amuse his patrons, such as performances by elephants, an exhibition of tropical fish under the auspices of the Pennsylvania Fish Culturists, a Perfect Foot Contest sponsored by the Chiropody Society of Pennsylvania, the Inez Wood Diving Nymphs, balloon rides, The Tokio Café, and performances by bands such as that led by Paul Whiteman, the Sultan of Jazz. The thirteen and a half acres of the Park lying in Willow Grove was purchased in 1945 by the Hankin Brothers and developed into a shopping center with the Penn Fruit Supermarket opening in 1947, followed by Snellenbergs Department Store and G. C. Murphys Store in 1953. The amusement portion of the Park was then purchased by the Hankins in 1958 and a 116 lane bowling alley, the largest in the world, built on the Moreland Road side. About 1970, a syndicate leased the amusement section of the Park and converted it into a theme park called "Six-Gun Territory" which gave it a western flavor. The days of the once glamorous Willow Grove Park, famous the world over, came to an end on April 14, 1976, and it was demolished to make way for a giant shopping mall.